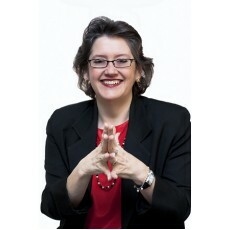 Pam brings a wealth of business and employment experience to clients. In addition to her role at Reputatus, she is the President/CEO of Vigilant Corporation, a full-service web design, hosting, and management company, based in Reading, Pa. In 2004, she was selected as one of the Best 50 Outstanding Business Women in Pennsylvania, honored for her years of success owning and operating Vigilant, as well as her many years of service to the community. In 2005, she received the Entrepreneurial Achievement Award from Kutztown University's Small Business Development Center. In 2014, she received the Lehigh Valley Business 25 Women of Influence award. Click Here to contact us today about booking Pam for your event. received the Entrepreneurial Achievement Award from Kutztown University's Small Business Development Center. In 2014, she received the Lehigh Valley Business 25 Women of Influence award.